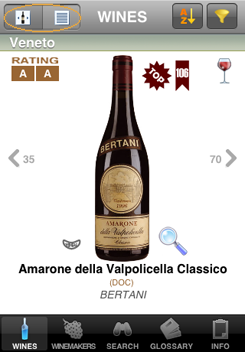 Vinum Index Top 106 is the guide to the 100+6 best Italian wines of the last 10 years, 106 products which, in terms of their history and quality, have made a huge contribution to setting the standards in international wine making. 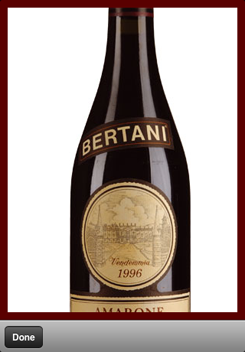 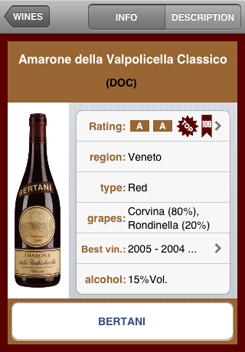 This special selection is based on objective criteria deriving from an analysis of the judgements of Italian wines by Italian and international experts over the last decade. 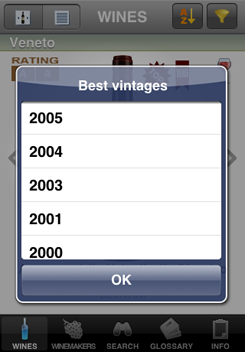 The Wines section (the second button on the black bar) presents the Top 106 wines. 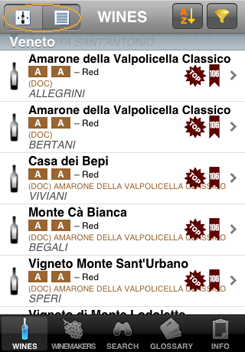 You can browse through the bottles with the grey arrows, or by touching the screen with your finger. 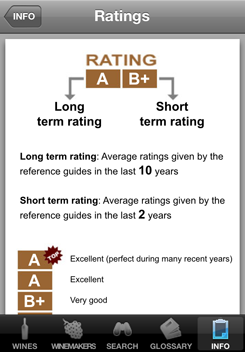 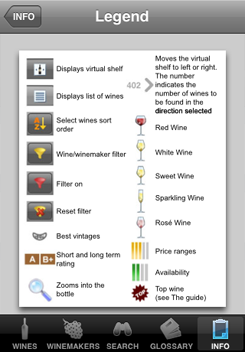 The numbers alongside the arrows indicate the wines to be found in the relevant direction. 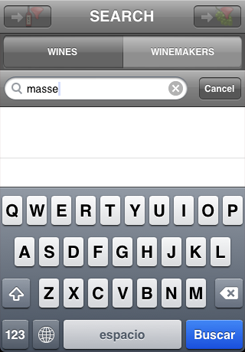 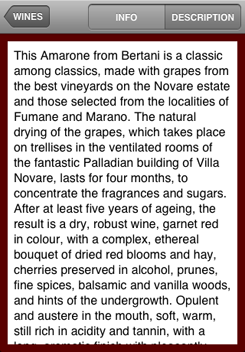 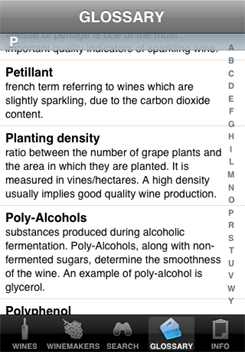 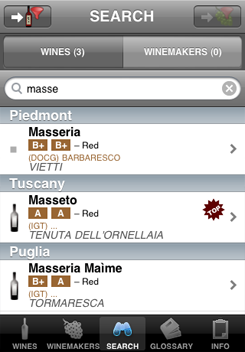 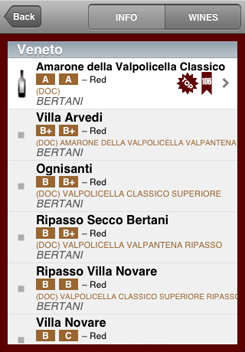 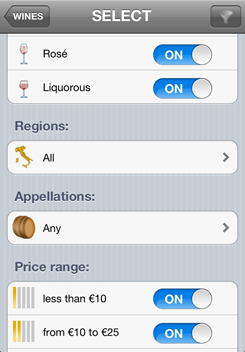 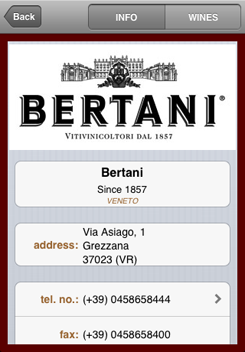 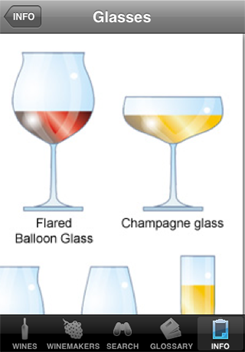 You can also scroll through the wines in list mode, and change the mode by means of the upper left hand button.